Honeycomb by Neenah Environment is a rustic, golden yellow card stock with a toothy, rough, raw finish. Paper is made of 30% post consumer recycled fiber and is acid and chlorine free for sustainability. Don't be fooled by this rough, unpolished finish - Honeycomb is digital printer friendly for all of your creative needs. Paper is pre-cut for press to 11 x 17 inches and is a medium 80lb cover weight. There's beauty in imperfection, and Neenah Environment 30% recycled kraft card stock is proof of this. Choose from eight colors, two weights, and several popular sizes for your next rustic chic design. 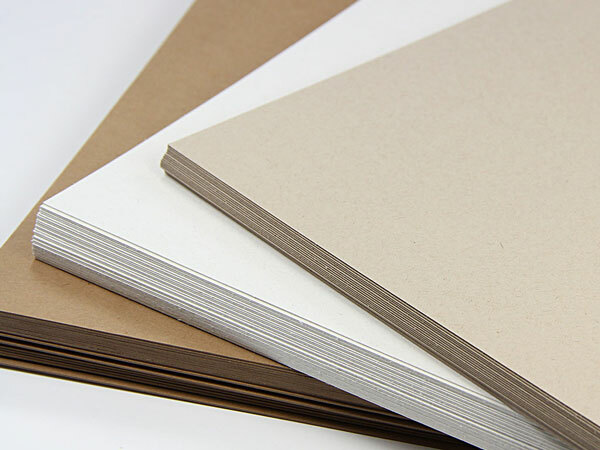 Environment cardstock is offered in 80lb, 120lb, or both, depending on the color. Weathered* - A smooth, light gray kraft with a subtle blue undertone. Very few to no inclusions are seen in this color. Concrete* - A rough, raw finish kraft in a gray shade bordering on taupe. Paper has visible inclusions/fibers. Husk* - A smooth kraft paper with a warm tan hue. No flecks and fibers are seen in this paper. Honeycomb* - A mustard yellow kraft with large, prominent inclusions. If printing this stock at home, 80lb weights perform well with most home ink jets and lasers. Due to the very heavy weight and thickness of 120lb cover, we recommend ordering a sample to test prior to purchase. Matching Neenah Environment envelopes and Neenah Environment blank cards are available.